I grew up around the trades and know quality when I see it. Eugenie created the most impressive pine bench that I have ever seen. She was accommodating and customized it to fit in a small space. The finished product shipped from Canada to the United States without damage due to her careful packing. I will recommend her to others seeking quality pieces of furniture. 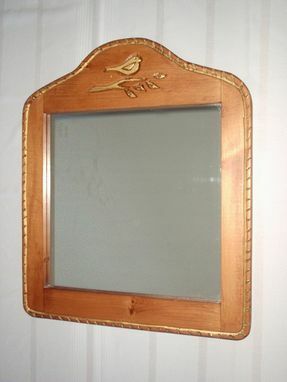 Look at yourself in this large Bird and Leaves Mirror, and then feel beautiful! 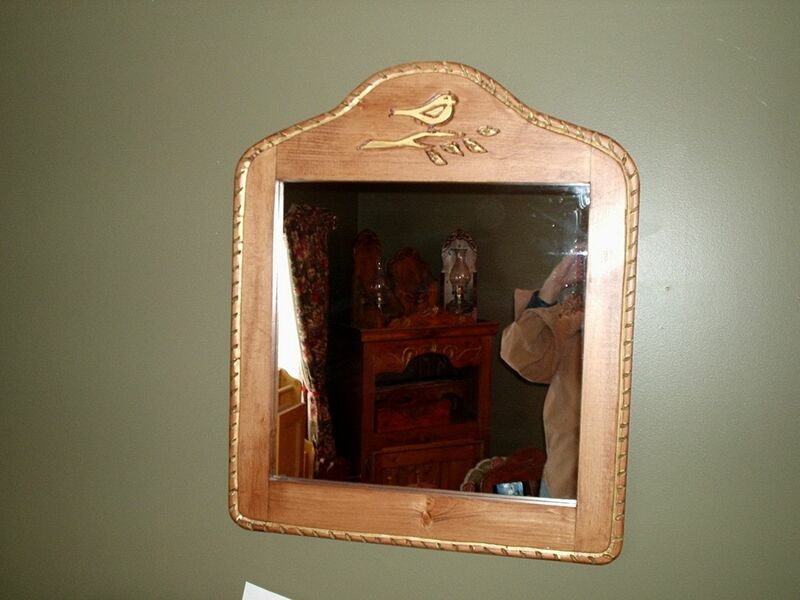 It measures 22 inches by 26 inches. Get one and choose the type of wood that holds and surrounds the mirror. You can choose a Special walnut, Time worn white or a Pecan. Every maker has a story. Be a part of Eugenie Woodcraft's story by placing an order, leaving a review, and seeing your review appear here.